This week's collection includes the new apps Textlicious, Moog Model D, Rise of the Tomb Raider: 20 Year Celebration, Project Highrise for iOS, and the macOS client for Vimeo. The updates list includes changes made to Microsoft Office 2016 for Mac, Handbrake 1.1.0, iMovie for Mac 10.1.9, Canary's new Apple Watch addition, and the Focus feature for Instagram. From Wil Shipley, developer of Delicious Library, is a new app available for both macOS and iOS. 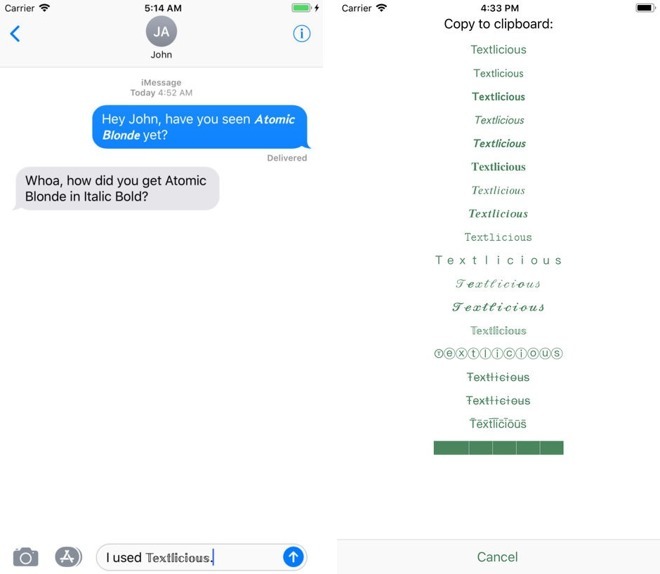 From the description, "Textlicious is a tiny service that lets you enter styled text in places that normally accept only plain text. Make your tweets more expressive, your texts stand out, and your posts on the book the envy of all your friends." To use the app on macOS, you highlight text you're typing in any app, right-click (control-click), and select the style you want from the Services pop-up menu. On iOS, highlight the text you're typing in any app, tap on the "Share" menu item, choose the style you want from Textlicious, and then paste the newly styled text over your old words. Available styles include bold, italic, serifed, typewriter, script, double-struck, and more. Get it for iOS: $1.99 Requires iOS 11.0 or later. Compatible with iPhone 5s and newer, iPad Air and newer. Moog first released the Minimoog Model D synthesizer in 1970. It was the first synth to have an integrated keyboard and have the main synthesizer components built-in without needing to be a towering modular thing. Before this, synthesizers were almost impossible to transport, and the Model D made it easy for gigging keyboard players to take a synth with them. Basically, a synth has three sections: an oscillator that generates the signal, a filter, and an amplifier. The Model D has three signal oscillators, a voltage controlled filter, and a voltage controlled amplifier. At the time, it was revolutionary, and it was rapidly adopted by musicians in concert and studio settings. Sun Ra, Keith Emerson of Emerson, Lake and Palmer, Michael Jackson (Thriller), Rick Wakeman and Trent Reznor all used them, and it was even in use on Whitney Houston recordings. You could buy a Model D for $3500 USD, or the new iOS app for $14.99. The app has some advantages, including the ability to play chords with four notes at a time (the hardware keyboard can only play one note at at time), 160 presets, a stereo tempo-synced delay, and a real-time looper with unlimited loops. It also works with MIDI and AUv3, so you can use it in a DAW like GarageBand. Requires iOS 10.3 or later. Compatible with iPhone 5s, or newer, iPad Air or newer. 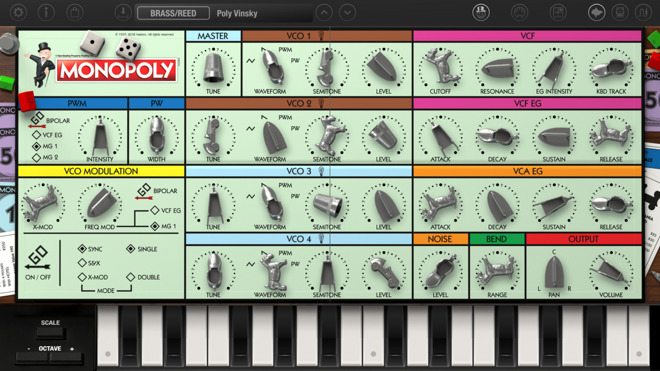 Korg iMono/Poly's most recent update brought a very cool feature: There's now a free skin based on the Parker Brothers Monopoly board game. That would be a fun toy if they'd just skinned it with fresh images, but instead, they've gone to real effort, 3D rendering all the board pieces as knobs whose shadows and lighting change when rotated. It's still a toy of a skin, and it's wonderful. The iMono/Poly is a 4VCO (voltage controlled oscillator) synth with all the options of the original synth from 1981, with two multi-effects units and eight virtual patches added in. It's got some great sounds, and is MIDI compliant. It works in conjunction with the Korg Gadget DAW. If you're at all into making music on iOS, it's an excellent tool to have. Requires iOS 9.3 or later. Compatible with iPhone 5s and newer, iPad Air and newer. From Korg: "Due to differences in CPU speed of iPads / iPhones, iPad 3rd gen/2/iPad mini/iPhone 4s are not supported, only iPad Air/iPhone 5s or later is recommended." 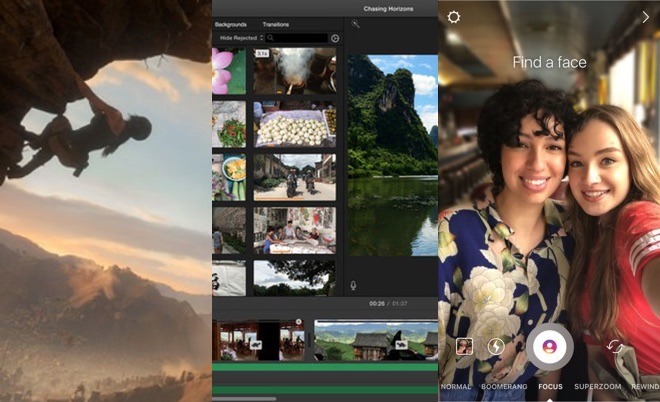 Rolling out to users as part of version 39.0 for iOS, Instagram is adding a new "Focus" camera format to its picture-taking function. Appearing next to "Superzoom" under the record button when recording a video, Focus works similar to the iPhone's normal Portrait mode, detecting where the subject is in the frame and applying a soft blur to the background. Focus is available to use on the iPhone SE, iPhone 6S, iPhone 6S+, and later releases. 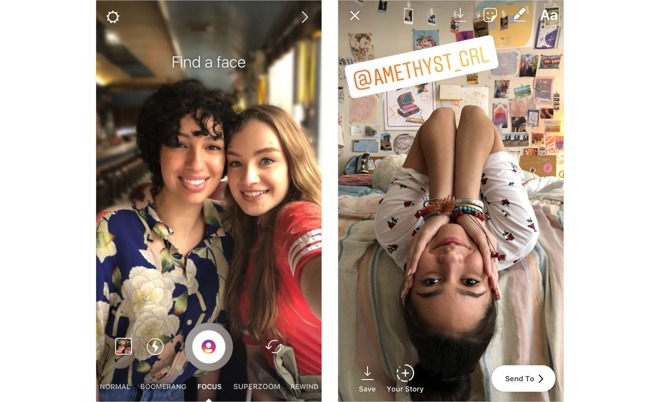 Instagram is also rolling out a new @mention sticker for iOS accounts, which aims to make it easier to connect with friends appearing in the app's stories. After taking a photograph or a video using the stories camera, access the sticker tray to find the @mention sticker, enter the name of the account being mentioned, and then place the sticker on the image. Notably for this version, Instagram has removed Apple Watch support, which formerly provided notifications of follows and likes on photos. It's been a while since we've seen an email application worth talking about on iOS. Canary does all the sorts of things you'd expect an email client to do, as well as having an 'activity stream' which shows a history of emails and replies. Canary has added an Apple Watch app to their app, so that you can receive and send email from the Apple Watch while on LTE. The app also lets you quick-reply using scribble, quick replies, and voice dictation. The Apple Watch really shines for notifications and replies, and Canary feels like a must-have app in order to really use the watch as its own platform, independent of iPhone. Canary is a free download with three-day trial, $4.99 USD after that. 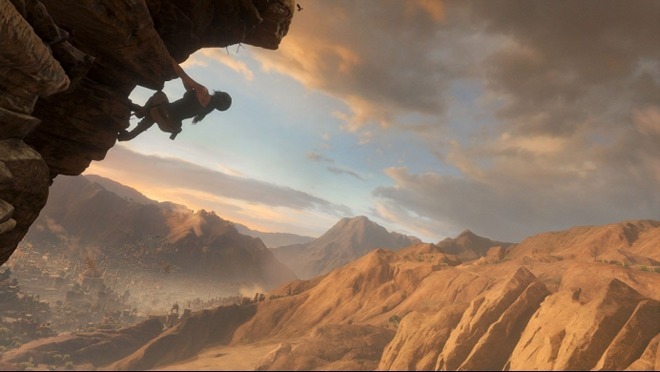 Feral Interactive's Mac port of the most recent Tomb Raider game is available as of Apr. 12, and sees heroine Lara Croft searching the ancient city of Kitezh for the Divine Source, an artifact said to endow immortality. As might be expected, Croft isn't the only person after it, which means her usual gauntlet of combat, exploration, and puzzle-solving. The game should run on all Mac Pros and 15-inch MacBook Pros released since 2013, all 27-inch iMacs since 2014, all 13-inch MacBook Pros since 2016, and last year's 21.5-inch iMac. Some 2012 iMacs equipped with 2-gigabyte Nvidia 680MX GPUs should also be able to run it. It's worth noting however that the game is very graphically demanding, and only the most powerful Macs will be able to approach maximum detail. 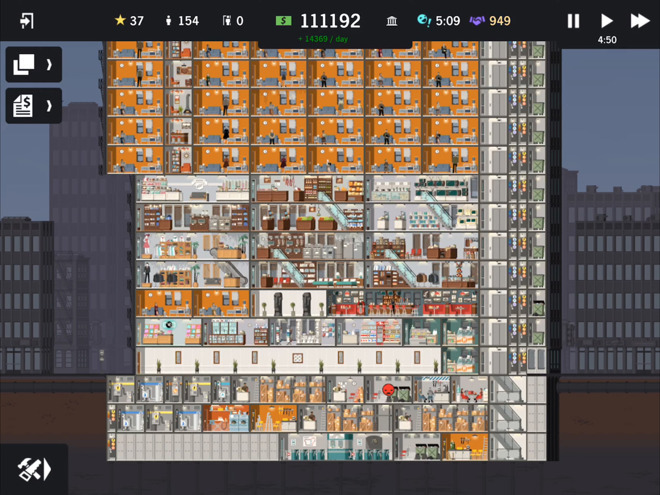 Ported from the Mac and PC, Project Highrise is a sandbox construction management simulator where players have to build the best skyscraper in the city. As the architect, the construction of the building's walls, floors, offices, and apartments are under the player's direction. At the same time, players have to keep costs within budget and to save for future expansion, and keep tenants happy enough to keep paying rent on time instead of deserting the property. As well as the main game, which is said to offer hours of gameplay, Kalypso Media and SomaSim have also included the bonus expansion packs as in-app purchases, providing new apartments, retail options, and scenarios for players to take on. Apple's simpler alternative to Final Cut on the Mac has been updated with support for the iPhone X and extra iPad resolutions when creating App Previews for the iOS App Store. Those videos are short clips that appear alongside each listing, giving a better sense for what an app is actually like. The update otherwise fixes bugs for issues like Facebook logins, exporting to Final Cut Pro, slow SD imports on the iMac Pro, and HEVC and HEIF files appearing black in the viewer. It should also solve glitches involving Camtwist Studio and/or Sound Designer 2. 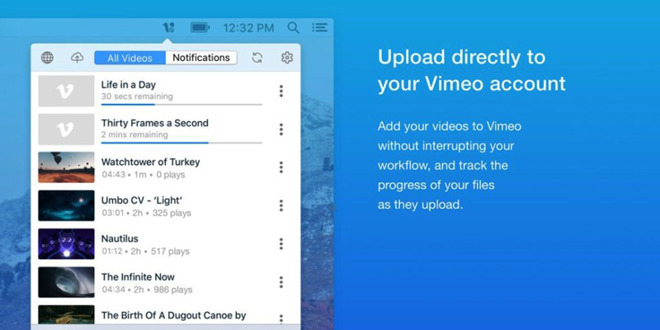 Long a staple of the Web and iOS, video hosting service Vimeo has announced a native Mac client. Rather than being aimed at viewers though, the app targets creators. 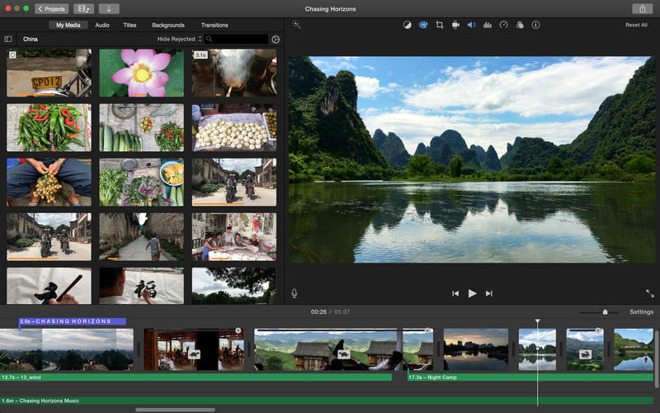 The software "gives Final Cut Pro users more control over file formats and video codecs, the ability to use any captions that come with a video (as opposed to one caption), an upload progress bar, and instant access to share links, review page links, and embed codes," Vimeo said. The app requires macOS 10.12 or later. 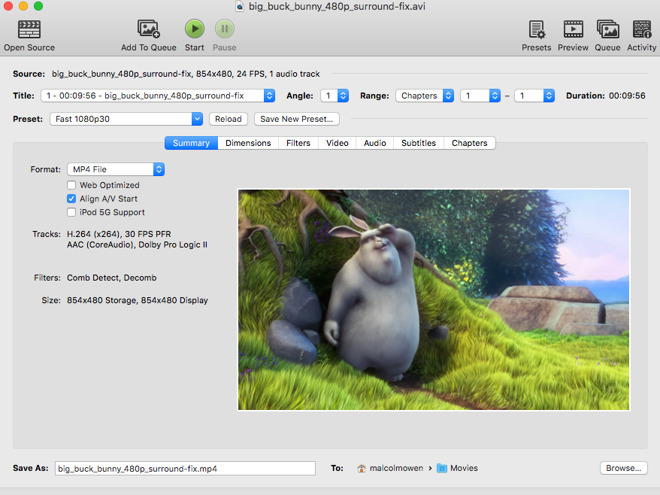 The major release of the open source video transcoder refreshes the user interface to make it more consistent and usable, with an overall flow from top to bottom and left to right. New preset controls in the main workflow, a summary tab to show an overview of settings, and new 4K presets for Apple TV, Chromecast, Fire TV, and Roku are among the improvements, as well as 10-bit H.265/HEVC encoding support for Kaby Lake and newer Intel processors. The app requires Mac OS X 10.7 or later. 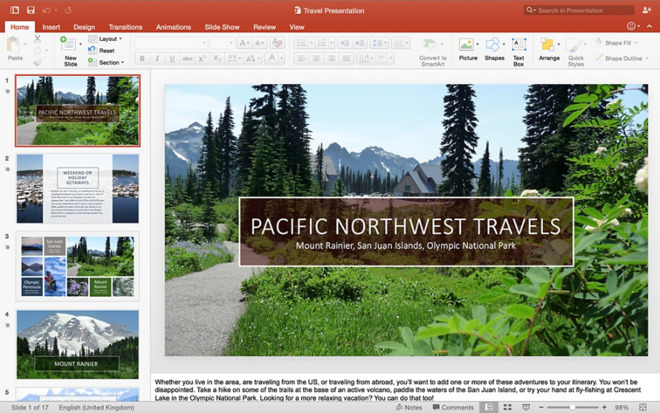 Microsoft's main Office productivity suite apps got updates to bring Word, Excel, PowerPoint, and Outlook to version 16.12.0. For Word, Excel, and Powerpoint, all three include changes to sharing and collaboration using OneDrive, with locally-synchronized documents opening directly from the cloud, allowing for easier autosaving. The trip also gain the ability to insert and edit scalable vector graphics (SVGs) into documents and presentations. Outlook version 16.12.0 gains the SVG support, as well as easier scanning of search results, and week numbers displayed in Calendar month view and the mini-calendar in the sidebar. The calendar is also more actionable, with a click of any meeting or event providing associated details for that calendar listing. Lastly for Outlook, delegates are now able to schedule Skype for Business Online meetings on behalf of principals using the principal's email address. Updates are available through MicroSoft AutoUpdate, via the Help menu in the Office applications themselves.